Typically, I’ve been driving from club to club, but today I flew and arrived in Colorado Springs. Many years ago some members of this club had the foresight to buy a building for a bridge club. 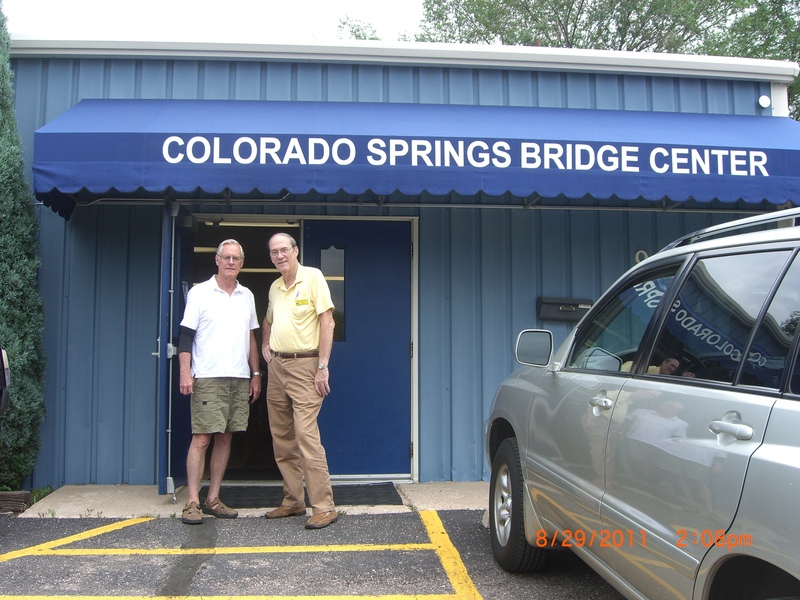 Each put up $1000 and today several local clubs have consolidated into the Colorado Springs Bridge Club. I played at this club twice – once on Sunday, and again on Monday. Sunday I played with Bonnie Bagley, District 17 Director, in the Great Western Conference STaC. The Sunday afternoon game had over 200 tables District-wide. 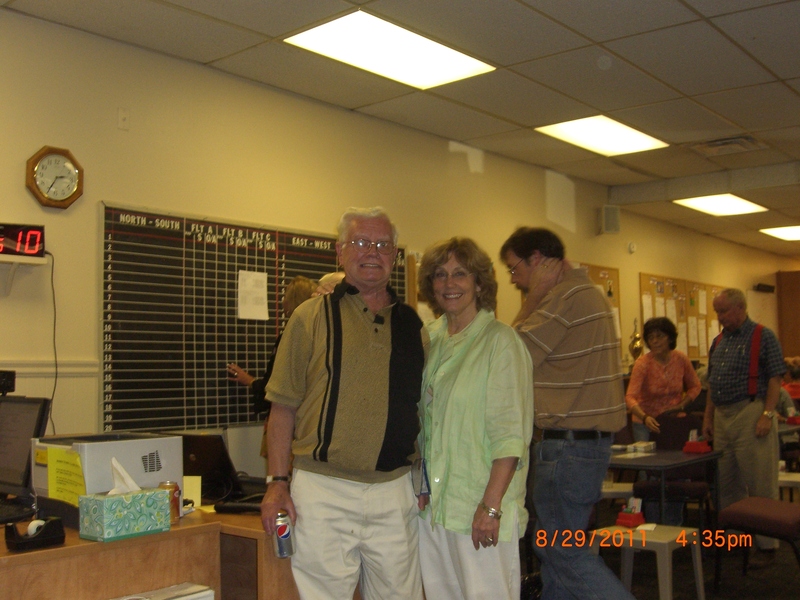 Monday, I played with Bob Harward who won the club raffle to be my partner. Bob played very well and it shouldn’t be long before he achieves LM. I also spent a lot of time with Bob Wingeard, one of the original investors in the bridge club and also a former District 17 Director. Thanks to Bonnie for being a wonderful hostess.